Our Purpose: Setting women free to be all God intended them to be. Our Vision: To urgently reach the world in our generation, by reaching the world’s women. 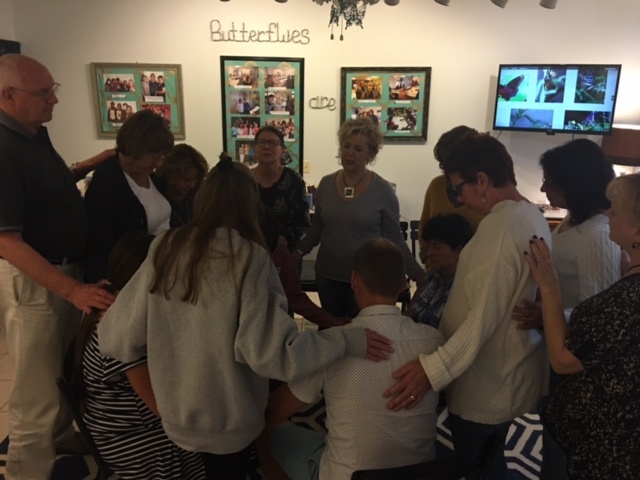 Our Mission: Equipping and empowering women to find their identity in Jesus Christ, to experience freedom, healing and inner transformation, and develop their gifts so that they can effectively minister to others. We do this by providing disciple making training with strategic Biblical teaching, and resources for spiritual and emotional growth and multiplication. When two thirds of the Christians are excluded from the work of evangelizing, the loss for God’s cause is so great it can hardly be described” Lauren Cunningham (YWAM). Women make up two thirds of the world wide church today. Yet in most countries, women believers receive little or no training to equip and release them in the work of Great Commission. We (Love UnVeiled) believe it is possible to greatly impact our generation by equipping and empowering women to reach their world. As women are transformed by His love, they find freedom to fly and are released to multiply. All over the world, from East to West, there are women who feel down trodden, oppressed, forsaken, and hopeless. Bound by painful circumstances and shame, they have no idea of their true identity or the purpose for which God created them. God’s heart is broken for these women. He longs for them to know His love and experience healing and freedom. God has called LoveUnVeiled (LUV) to reveal His love, His desire to heal their heart, and His power to set them free to be the women He created them to be. The transformation of the caterpillar to a butterfly is a powerful illustration which LUV uses to communicate to women how God’s love through Jesus Christ and the power of His Holy Spirit transforms lives completely bringing new hope and purpose. In the Bible, when the woman at the well met Jesus Christ, she experienced love and forgiveness and her life was changed from a woman of shame to a woman of value. She immediately went and shared her new found freedom with her whole community. Our desire is that hurting women worldwide will experience this same transformation – each woman becoming a beautiful butterfly who learns to fly in freedom, to love with compassion, and to share her story of healing and joy with others.